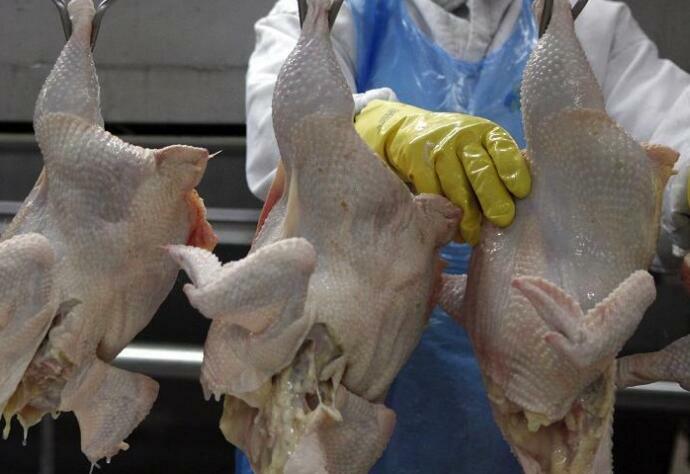 Namibia has amended a suspension of poultry imports from South Africa, its Directorate of Veterinary Services (DVS) said on Monday, after shortages caused by the ban imposed a month ago. Namibians consume an estimated 2,500 tonnes of chicken each month, but the country has only one commercial supplier able to supply between 1,800 and 1,900 tonnes. Several Kentucky Fried Chicken (KFC) outlets and some smaller chicken sellers in the capital Windhoek have experienced shortages in recent days after the suspension of poultry imports from South Africa and Belgium following outbreaks of the highly contagious H5N8 bird flu. South Africa confirmed early in July that outbreaks of the highly pathogenic strain of bird flu had been detected on commercial layer farms in two provinces, placing the affected farms on quarantine. Namibia’s Chief Veterinary Officer Adrianatus Maseke said on Monday the recent complete ban on the importation of live poultry and poultry products from South Africa has been amended to allow for some bird products, under strict regulations. The southern African country will now allow the importation of live poultry and ostriches originating from “compartments” approved by the Department of Agriculture, Forestry and Fisheries (DAFF), provided they are outside a 90 kilometre radius around the Vaal Dam where there are many poultry farms. Raw poultry, ostrich meat and egg from compartments approved by South Africa’s agricultural ministry and slaughtered at approved abattoirs will also be allowed into Namibia.